The first thing one notices about a book is of course, the cover. 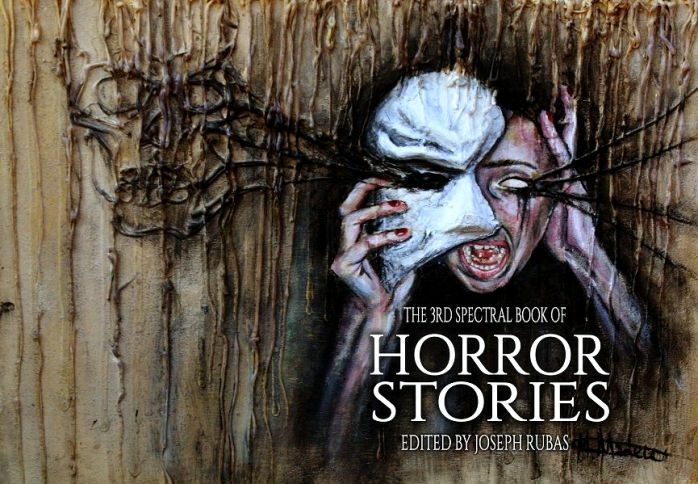 The 3rd Spectral Book of Horror Stories has quite an eye-catcher created by artist Holly Madew; a woman is in the process of removing her mask, which reveals pupil-less eyes and rays shooting from those eerily empty white orbs. 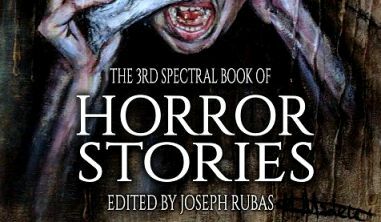 The 3rd Spectral Book of Horror Stories is edited by Joseph Rubas, whom I know is quite a writer in his own right. I have published Joseph in The Horror Zine a few times and have always been impressed with his writing skills. Therefore, I knew I was in for a treat with anything he edits. This anthology did not disappoint. There are twenty short stories and two poems in the book. Since I cannot review all the stories, I will only review the ones that stood out the most to me. One of the best stories in the book is the first in the lineup. “Lacey” by David Wellington begins just the way I like stories to begin…in the middle of the events. It is written in the veins of “The Twilight Zone” and it is very effective; it really works. A man is driving across country with his girlfriend, whose skin seems to get colder as they go. He is in communications with his sister, where we learn exactly how Lacey came out of a wall…and why. This is an extremely well-written story that gets your attention and keeps it for every creepy moment. 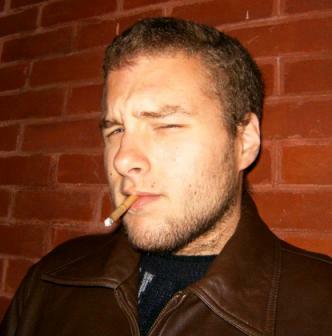 Next we have “Cotton Face” by Dan Weatherer. Calum tells young Matthew about an urban legend. I was attracted to this story because of the descriptions of emotions. I mean, Weatherer can really write about FEAR. This story does not have a happy ending, but then, not all horror stories do. “It Knocks” by Paul Longmate starts with an unhappy Hal who is upset that his girlfriend Lezleigh left him. But did she really leave, or did she get a push? And who is that knocking on his door? This story is very short but does a lot in its few pages. Adrian Cole is another writer I am familiar with, having also published him previously in The Horror Zine. His “The Door into Envy” begins with a couple that buys a cottage which needs a lot of work. What follows is brilliantly paced suspense about a door in the brick wall in the garden. What is the promised gift behind it? “Government Work” by Richard Farren Barber reminded me a lot of Stephen King’s Salem’s Lot, except it’s not a vampire they are transporting in a crate in the back of the truck. In fact, Joe finds out that what Kevin is stealing has more consequences than if it were a vampire. A nice twist. And then we come to one of my favorite queens of horror, Lisa Morton. 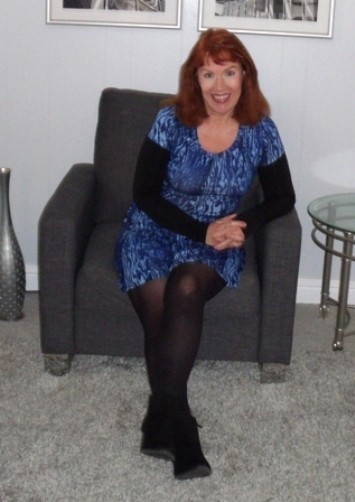 Her “Trigger Fate” begins with exciting action and never relents in the pacing of the story. Rosita is being shot at, and as much as she tries, she cannot escape being a target. “Trigger Fate” is an excellent story and that doesn’t surprise me, since it is written by an excellent writer. The cons to this book are few, but one disappointment for me is that the contribution from William F. Nolan is a poem (remember, there are two poems in this book). While I like poetry very much, I would prefer a story from someone as renowned as Nolan. Overall, The 3rd Spectral Book of Horror Stories is a solid collection and I would recommend it. Joseph Rubas is the author of over 200 short stories and several novels. His work has appeared in: The Horror Zine; Nameless Digest; Thuglit; The Storyteller; Eschatology Journal; and many others. He is the editor of The Thorn of Death (2012), The 3rd Spectral Book of Horror Stories (2016), The 4th Spectral Book of Horror Stories, and The 5th Spectral Book of Horror Stories (both planned for 2017). He currently resides in New York State.